Prepare for the IELTS test with our video lessons that give you an explanation of the test and also tips, strategies and advice to improve your chances of success in IELTS. They explain the aspects of fluency and coherence, lexis and vocabulary, grammar and pronunciation that are considered during assessment. 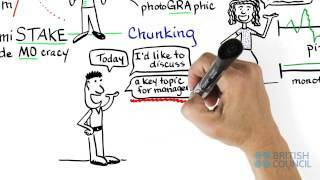 This video lesson explains the aspects of grammar that are considered during the assessment of IELTS Writing. 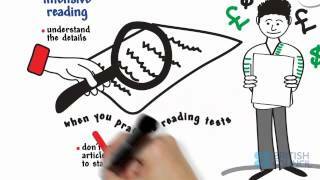 This video gives you tips, strategies and advice to improve your chances of success in IELTS Reading. 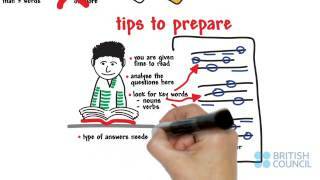 This video explains the aspects of task response and task achievement that are considered during the assessment of IELTS Writing. How to write effectively for IELTS. 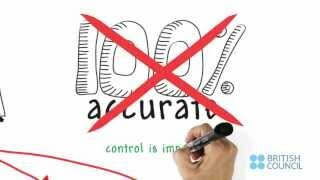 This video explains the aspects of English pronunciation that are considered during the assessment of IELTS Speaking. 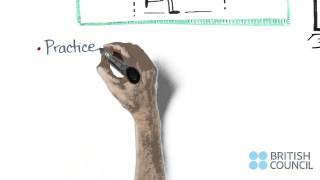 English lexis and vocabulary video lesson helps you improve your IELTS skills.